They say scent is one of our strongest memory triggers and I believe it. 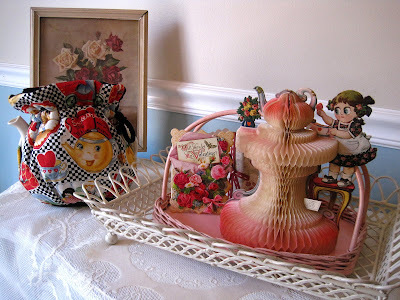 Lily of the valley fragrances remind me of the Little Kiddle dolls I played with as a girl. Sweet Honesty and Love's Baby Soft take me back to junior high. 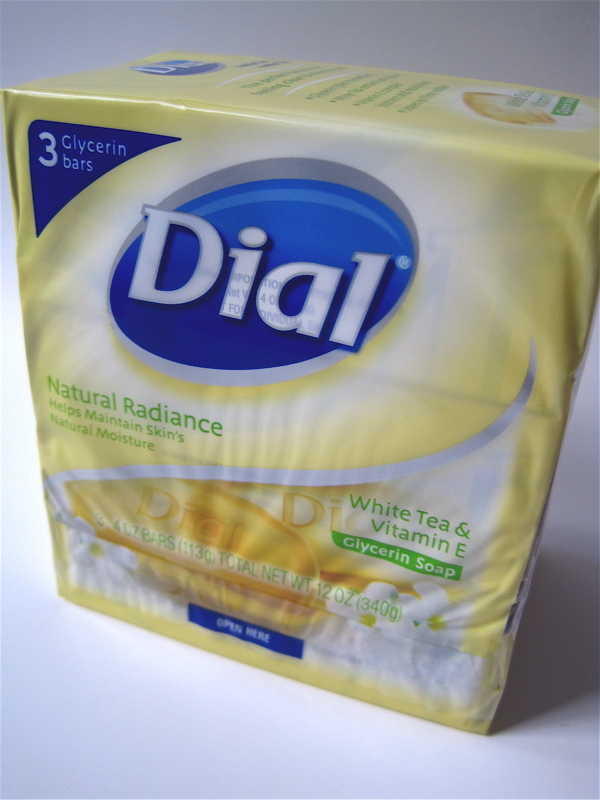 Dial soap is also a strong fragrance memory. 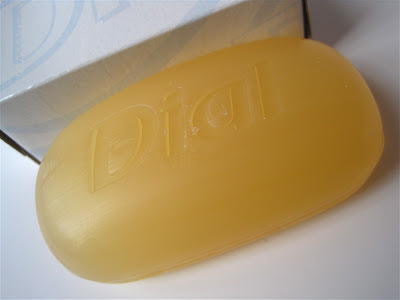 Even today, I can just see the word "Dial" and imagine the scent of that yellowish-orange bar of soap and how it felt when I visited my aunt. There, I got to take a bath in her old claw-foot tub where she made sure I was scrub-a-dub-dubbed to within an inch of my life with Dial soap. And today Dial, I am pleased to report, has gotten with the times thanks to this new variety I came across last week, Dial White Tea & Vitamin E Glycerin Soap. 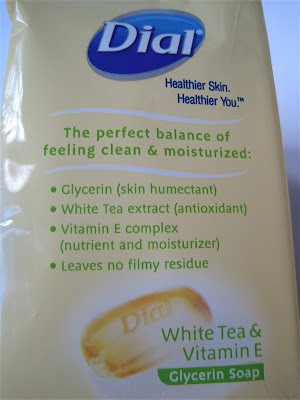 This soap does indeed contain white tea extract, which I like, and let me just say that this soap looks, smells and feels divine. I say "feels" because I have observed that while I love those chunky, big-scented and big-sized bars of soap, they can be a bit clunky to use in the shower. 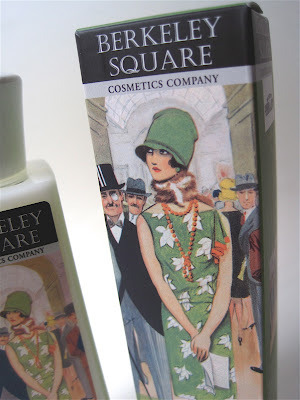 This soap is the perfect size, and the rounded shape strikes me as particularly well-suited for us lady users. The glycerine bar has a terrific silky feel, too, and I got three bars for just $1.67 at Publix last week, making this a find that's both useful and thrifty! Have you tried it? It was bound to happen. It was simply a matter of time. And sure enough, just like that, in Tea Shop Mystery #13 we face the death of one of the old familiar characters from Theodosia Browning's Indigo Tea Shop crowd in Charleston, S.C. I was fortunate to get an advance copy of the new novel, coming March 6, and it begins with the grand opening of the city's new Neptune Aquarium. Theodosia and company are there catering when she takes a break to admire one of the huge tanks on display, only to find a familiar face come bobbing by, the victim of an apparent drowning--or was it something more sinister instead? This novel finds Theo quite a bit more personally involved in solving the mystery because of her past relationship with the deceased, and it makes for some *very* interesting reading. And though I found myself suspecting everyone at first, I must admit it wasn't 'til near the end of the book that I figured out who the culprit was. "Agony of the Leaves" also teases us with plans for a longtime character's wedding coming in the next book. 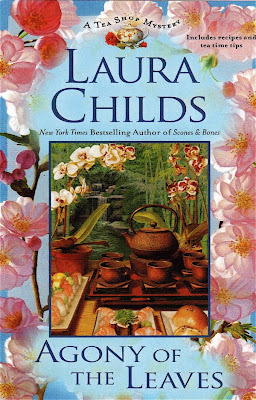 My only beef with Laura Childs is that she doesn't write these books fast enough to suit me! 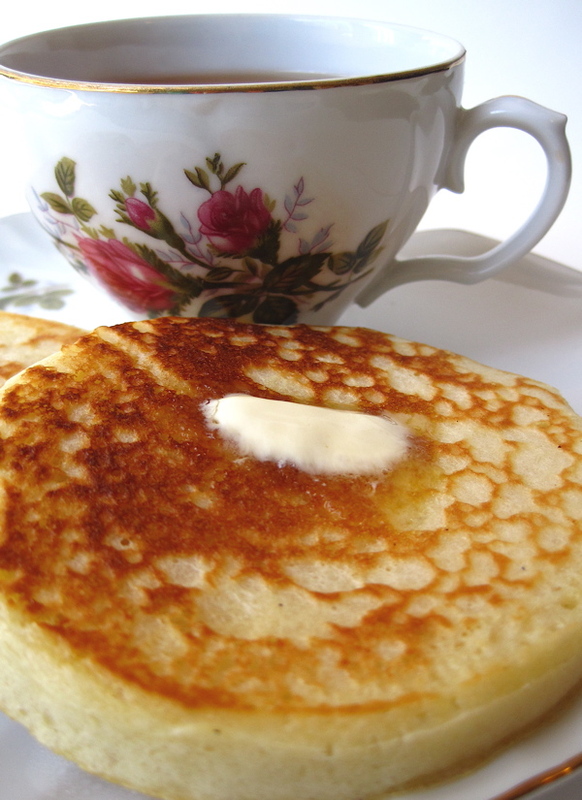 Have you ever made crumpets before? 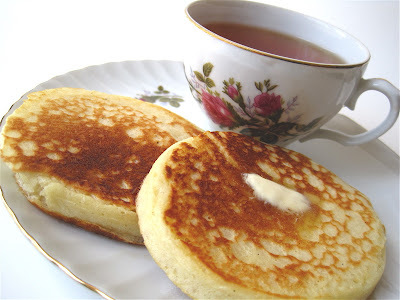 It's been years since I have, and over the weekend I decided tea-and-crumpets would make a fine lunch one day, and it did! Crumpets end up with these delicious little holes on top, perfect for holding the butter you will surely want to melt on them. Confession: I later added some of my special reserve of a friend's homemade blueberry jam. Decadent! Now here's how I make 'em. 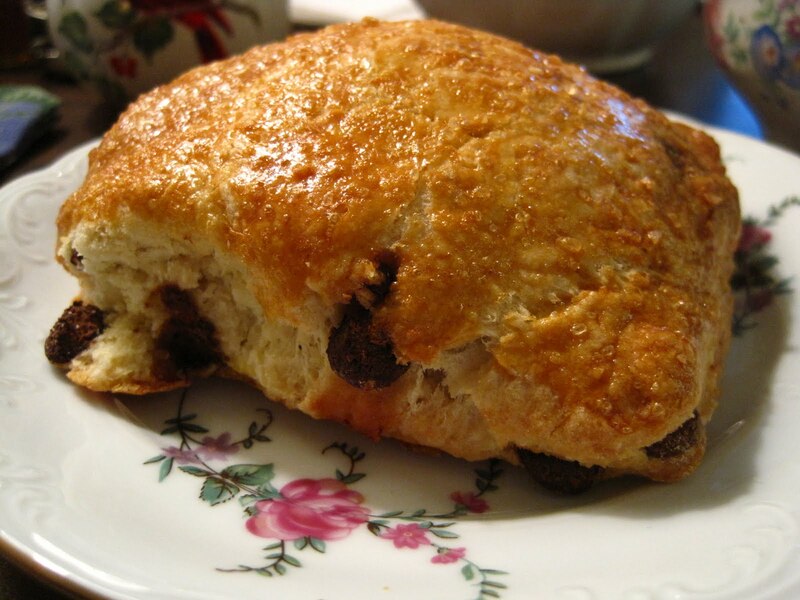 In a medium bowl, combine flour, salt, sugar and yeast. Add water, milk, butter and egg and blend until smooth. Cover and let mixture double in size. Ladle batter into rings and cook on medium heat in iron skillet. 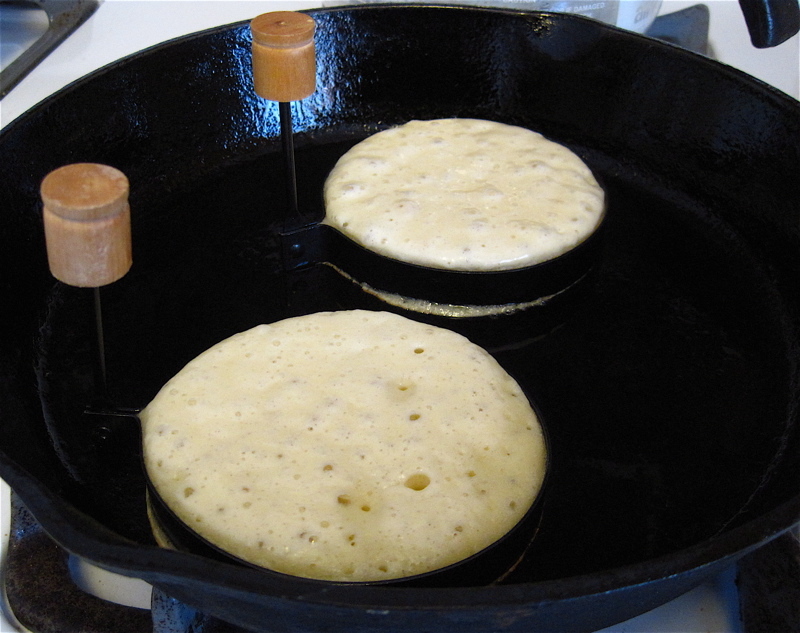 Yields about 10 crumpets. Serve hot with butter, preserves, or use as the bread for an open-face crab or chicken salad sandwich. 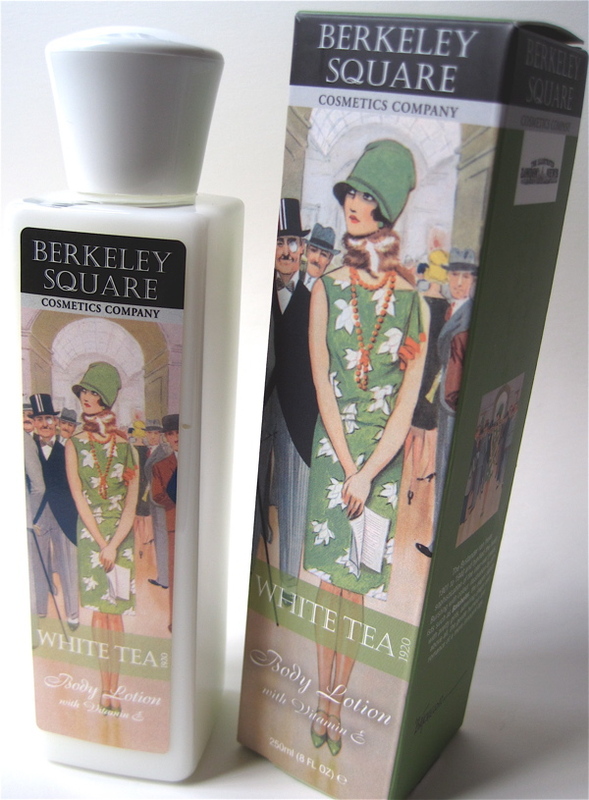 The winner of the White Tea Lotion from last week is ... Belinda from S.C. Congrats! 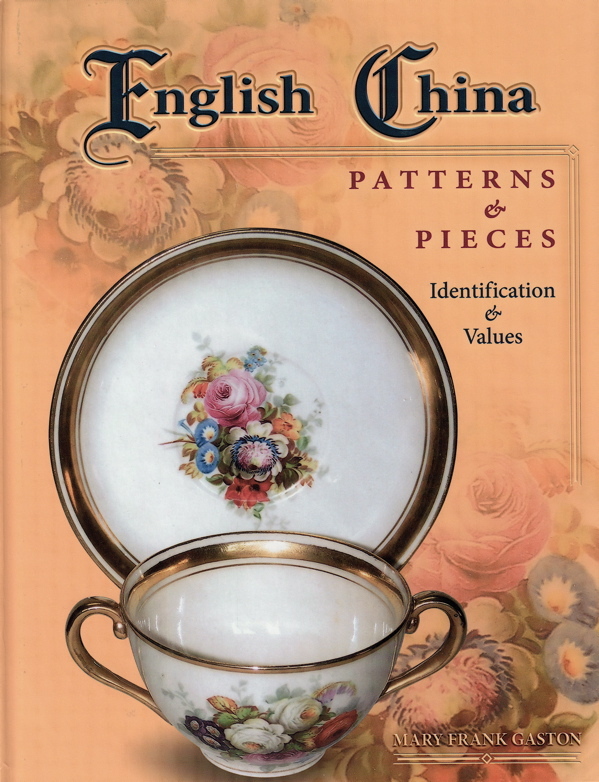 And for this week's giveaway, we have a new copy of the book "English China Patterns & Pieces" by Mary Frank Gaston. The book has lots of helpful photos of English china pieces including those near and dear to us: teacups (both with handles and handleless), teapots, tea tiles, tea trivets, tea waste bowls and more. Are you a lover of English china? 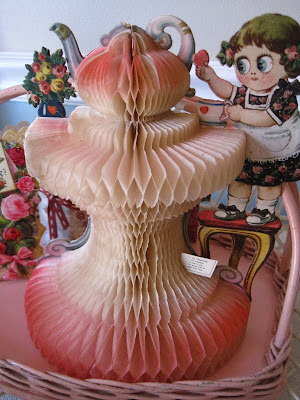 Could you use another collectibles book in your library? 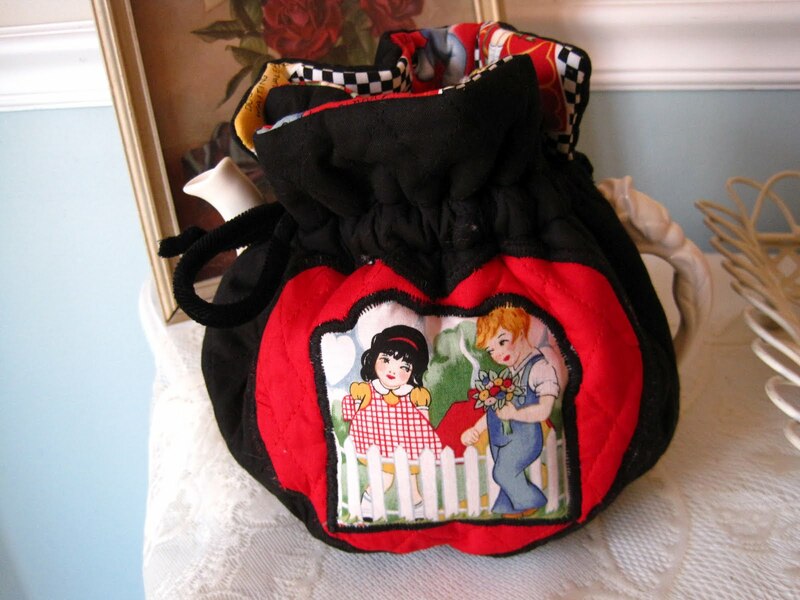 If so, just leave a comment between now and noon EST Friday, March 2, and you'll be entered to win. Good luck! First, I read Jan Whitaker's delightful Tea at the Blue Lantern Inn, a book about America's tea room history which ought to be at the top of every tea lover's reading list. (I reviewed it here.) 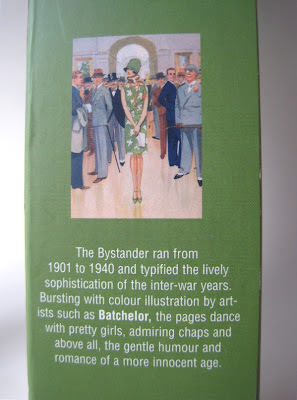 Then, I got interested in retail history and read her book Service and Style, which enlightened me about the department store's influence on American life. I had been eager to see what her next book would be, and I must say it's a beauty: The World of Department Stores, a richly-illustrated book that's as much a pleasure to read as it is to behold. Those of us who love to shop (and perhaps even those who don't) will recognize the names: Harrods in London, The Bon Marché in Paris, the Seibu stores in Japan, Eaton's in Toronto. These are but a few of the stores featured alongside such American retail legends as Jordan Marsh, Marshall Field and John Wanamaker. I must say I was delighted to find quite a few references to tea in Whitaker's new book. She notes that "under the guidance of department stores, the modern consumer began to evolve." Those who had never visited a bookstore (perish the thought!) 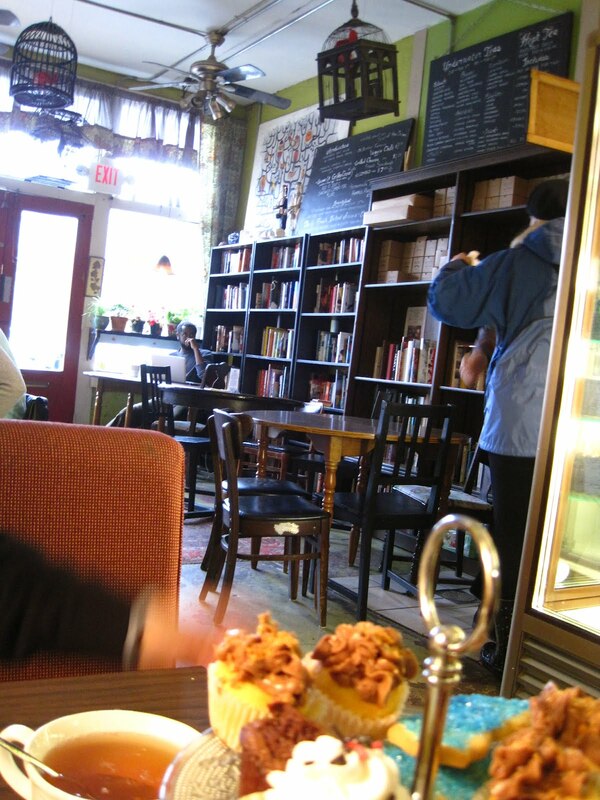 began to buy books, she says, and "sales of black tea soared after the stores served free samples in tea nooks." 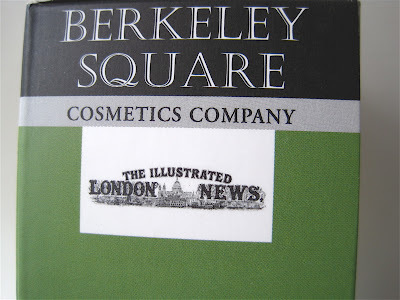 Harrods, it turns out, was in its early days a grocery wholesaler with a special interest in tea, and at Tokyo's Mitsukoshi in the late 1800s, the store "served tea without charge to women in its restrooms." While tea is by no means the focus of this book, its several pop-up appearances make an already pleasant read even more so. 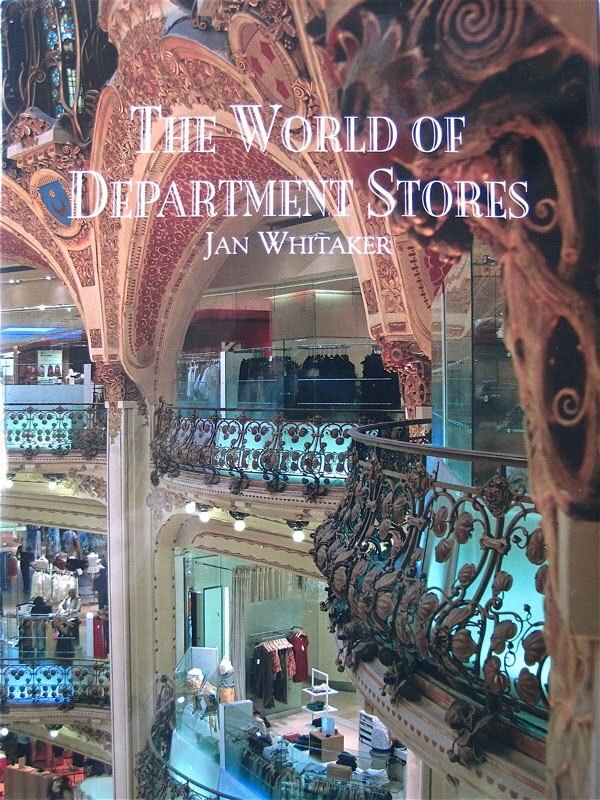 The book covers the development and evolution of the department store around the world, from the first, Paris' Bon Marché in 1852, to more recent examples, such as the new Barneys New York in Chicago with its curved glass wall exterior. Some of the information is just fun to know, such as the identity of the store which was first to hold a white sale (The Bon Marché, appropriately enough). Other tidbits are frankly rather surprising. Where did Germany's Leonhard Tietz store acquire much of its merchandise in 1907? The U.S.! And did you know that department store window trimming was such an important profession that one fellow founded a national association for such tradesmen? He even wrote a book about this work, The Art of Decorating Dry Goods Windows and Interiors, but you may know this author, L. Frank Baum, for another of his books, The Wonderful Wizard of Oz. The book's chapters focus on topics including department store history, retail goods, the structures themselves, and store marketing and publicity efforts. The book's designers have done a magnificent job of selecting the photos and illustrations to accompany the information, and it's hard at first not to be so amazed by the images that you forget there is text as well. At almost 10 x 13 inches, this oversized book has plenty of room for the photos. Some of them run two pages, and the result is dazzling. Don't be surprised if you find yourself staring off into space wondering what it was like to be among those well-heeled ladies strolling into Marshall Field in a photo from 1910. If you're someone who enjoys shopping or traveling, The World of Department Stores is definitely a book you'll want on your reading list! Recently I needed to order some new tea filter bags to use at the office, and nobody sells them cheaper or ships them faster than Upton Tea Imports, I find. 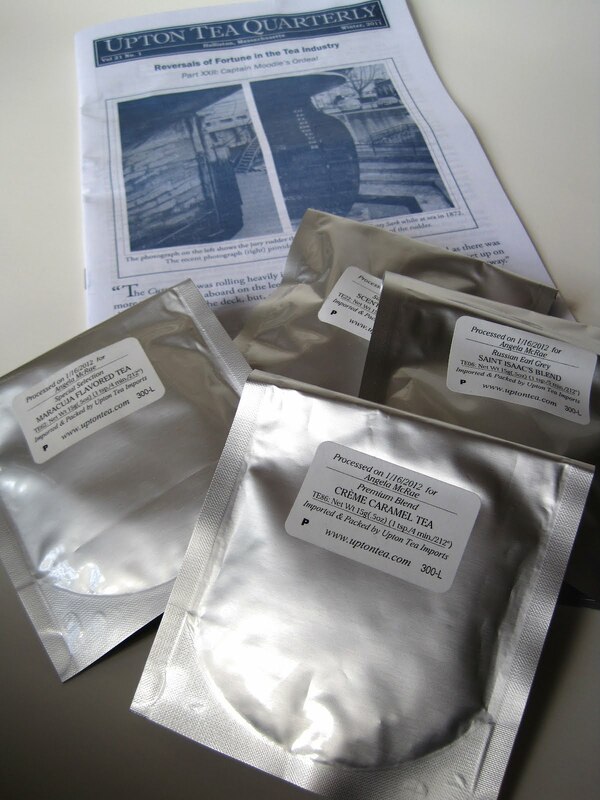 The other great thing is that Upton will sell you a small sample of tea for just $1 or so, so I like to order a few new teas to try along with my tea filters. Here, some Sacher Blend Scented Darjeeling is steeping (but in a filter, since I was at home and not the office when I sampled this). Don't you enjoy watching the leaves as they steep? 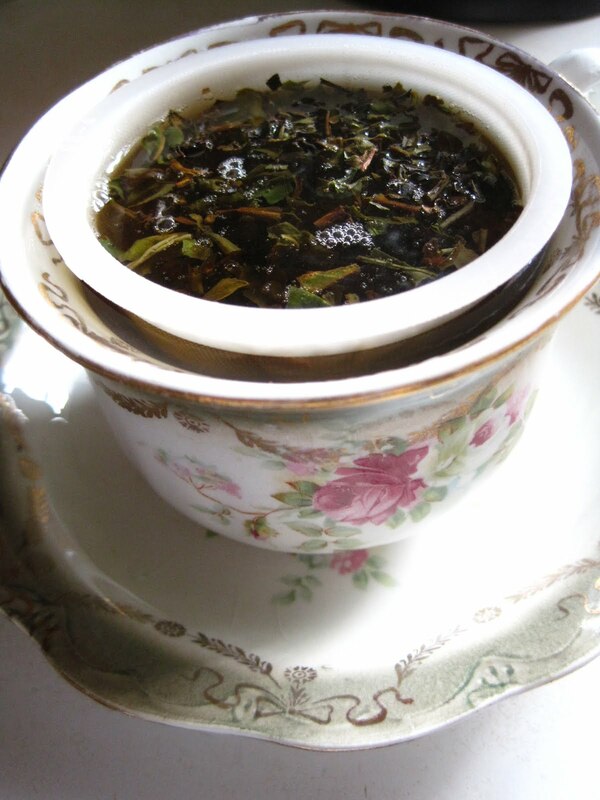 Tea is the perfect symbolic beverage of the "slow food" movement, isn't it? When the tea was finished steeping, I enjoyed a delicious cup of this very unique blend, a sort of marriage of Darjeeling and Earl Grey, which I think may also appeal to some of you. 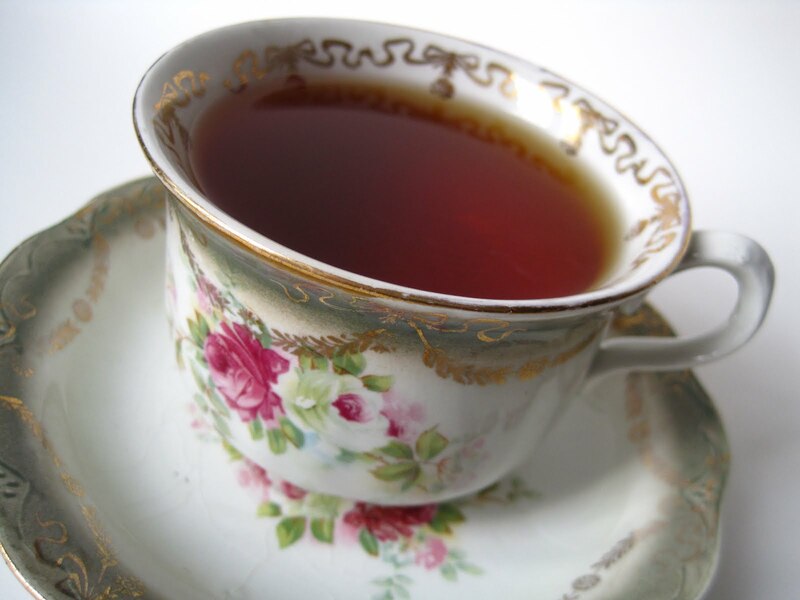 Here's the description from Upton: "Inspired by the Hotel Sacher in Vienna, this is a traditional blend of Darjeeling with a hint of Ceylon. The blend is then lightly scented with oil of Bergamot and a hint of genuine Bourbon vanilla. 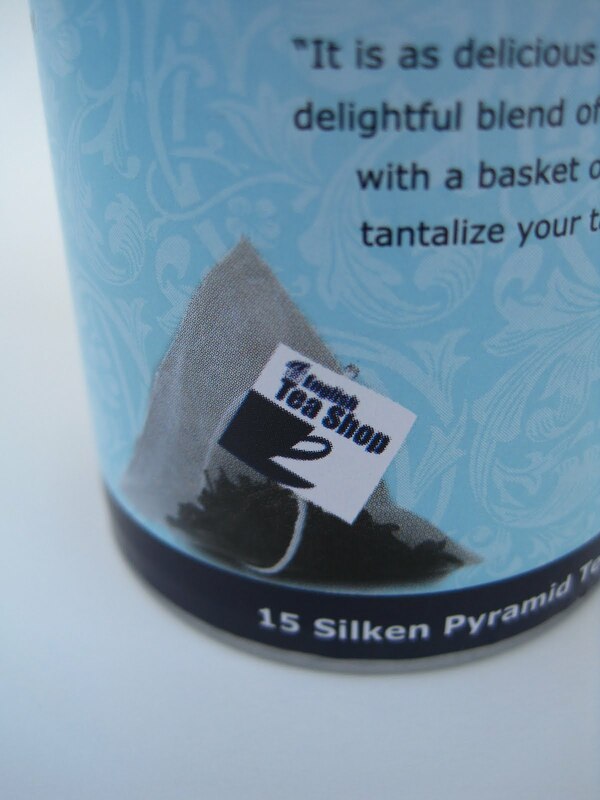 The result is a floral Darjeeling surrounded by soft, fruity, citrus notes. A new formula which we find especially pleasing." I do, too! If you haven't ordered from Upton before, you may be surprised to discover they label all the teas, even samples, with your name and the date they were packaged. I've found this very helpful when I can't remember how old a certain packet of tea is. (Although, I tend to drink up my Uptons, so few of them have ever had time to get old.) 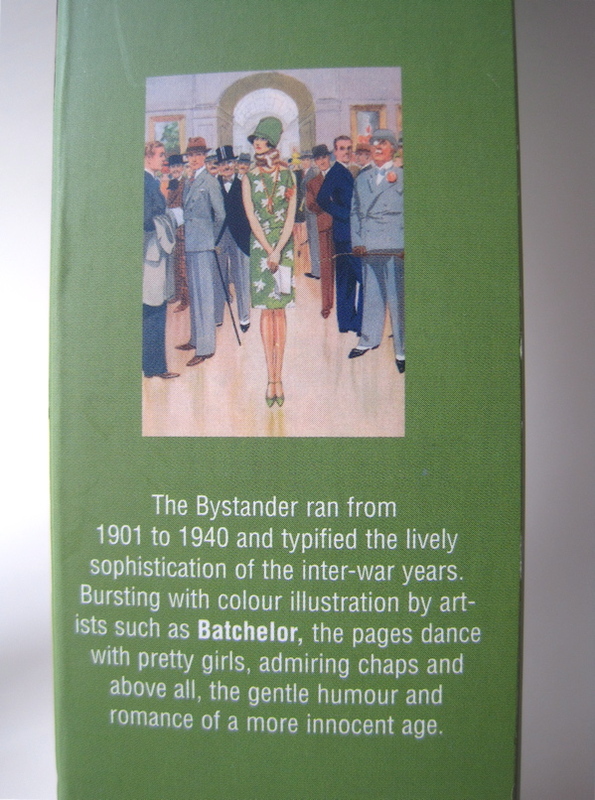 Also, your order will include the latest copy of the Upton Tea Quarterly, the delightful publication pictured at back. My other three tea samples this order were: Créme Caramel (tastes and smells divine), Saint Isaac's Blend (a fine Earl Grey) and Maracuja Flavored Tea (flavored with the Brazilian Maracuja fruit, sunflowers and sugar-coated peach bits—quite lovely). 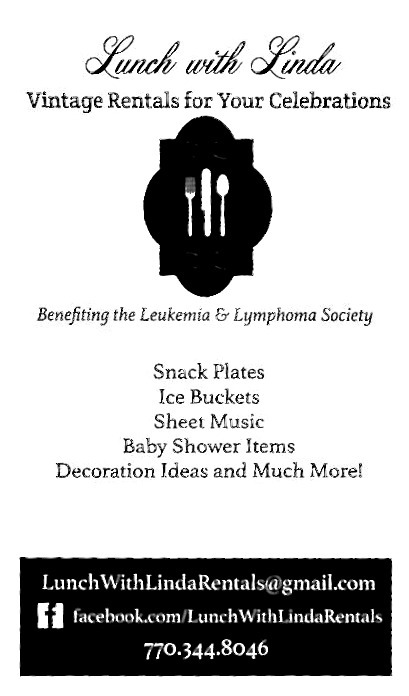 Order a free catalog here. Recently I got a bee in my bonnet to acquire some new flatware, and I chose the Sheraton pattern by Oneida since it reminded me so much of the vintage pattern on a fork I found in England. Imagine my delight, then, when I visited the Dillard's in Anniston over the weekend and found the pattern's Hostess Set on the clearance table! Yes, I did indeed need the serving spoon, sauce ladle and sugar spoon, thank you very much. 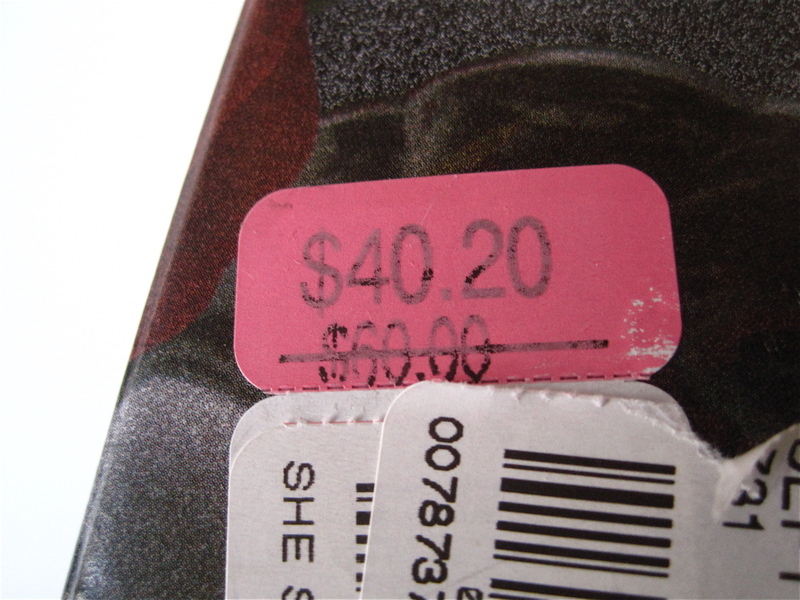 So, was it marked down to $40.20? Noooooo. Was it marked down to $30? Nooooooo. 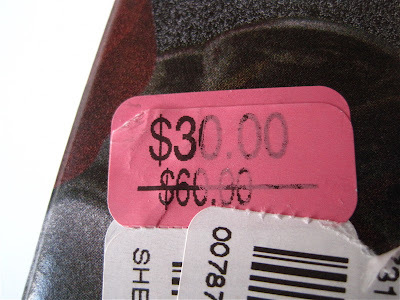 Was it the price on this final pink sticker, $21? Noooooo. 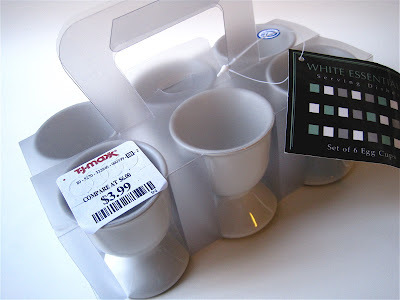 It was *half* of that, a mere $10.50 for this $60 set. I was one happy camper! And while not a clearance item, this $3.99 set of six egg cups from T.J. Maxx made me happy as well, for I've been wanting some of these for several years now. My niece Cari turns 13 in April, and she has requested a tea for the occasion, warming my heart with the news that she doesn't think she'll ever be too old to want a tea party. 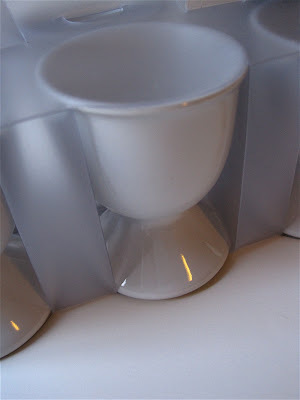 I think it will be her and five friends, so I plan to make these chicken salads in the egg cups, which will be decorated with ribbons. 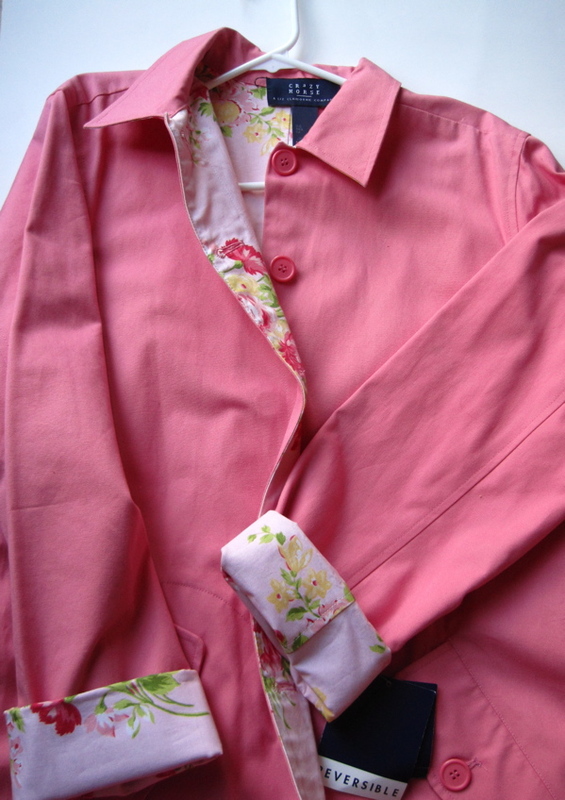 And I'll close not with teawares or serving pieces but a clothing bargain courtesy of my mom. 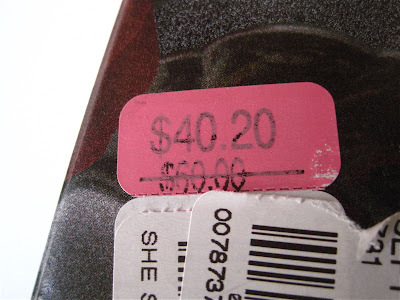 I know some of you think I'm good at bargain hunting, but I am a rank amateur next to my mother, who found me possibly one of the most gorgeous garments I've ever owned. 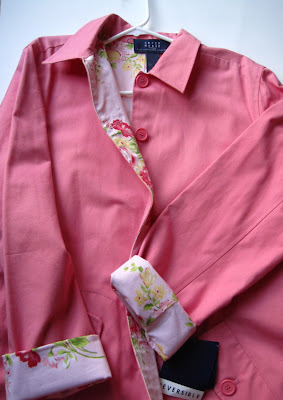 It's a bubblegum pink trench coat, completely reversible to a delicious light pink floral print. 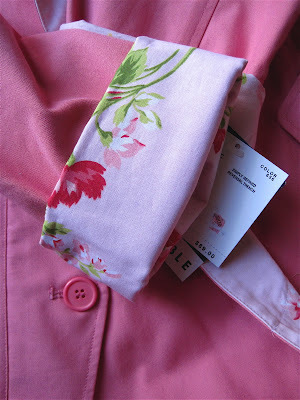 It's from Liz Claiborne, still new with the $89 tag on it. And what do you think she paid for this lovely coat at her favorite thrift store? Just 99 cents. When people say I'm like my mother, I can only pray it is so! Well, the paperwhites were lovely but the scent struck my husband as "rotten eggs," so the teacup planter on the dining table has a new occupant, this pretty yellow gerbera daisy plant. (At least I *think* that's what it is!) The hubby was guest speaker at a local Kiwanis banquet the other night, and I was the lucky recipient of one of the table decorations. Isn't this a nice pick-me-up after all the gray, rainy days we've had in Georgia lately? I was reading a digital photography newsletter recently and its photography advice for the week was simple: Get closer! So I did. And then I got closer still! 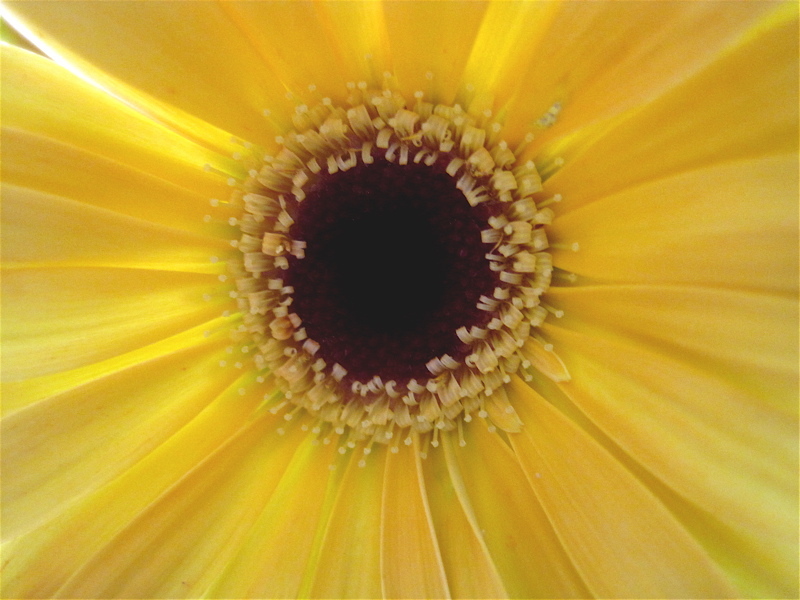 I love photographing flowers and can't wait 'til I have some serious blooms in the garden this spring. Meanwhile, I will actually become a member of a garden club for the first time in my life a week from today! 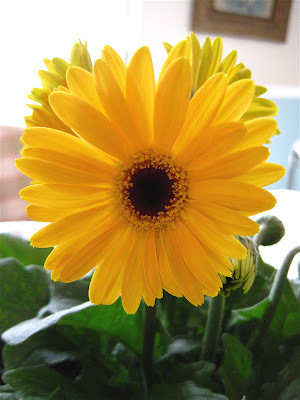 My friend Deberah (art director of the magazine I work for) and her sister Wilma are both talented gardeners, and they have organized the new Crossroads Garden Club. It's open to new members, and it will even have online memberships available. Since some of you local tea friends are garden-lovers as well, I wanted to be sure you know about the new club. Go here to visit Deberah and Wilma's terrific new blog and learn more about the Crossroads Garden Club! Any new book with a gorgeous silver teapot on the cover is likely going to be one I like, and when it's written by the charming Alda Ellis, it's going to be one I love. 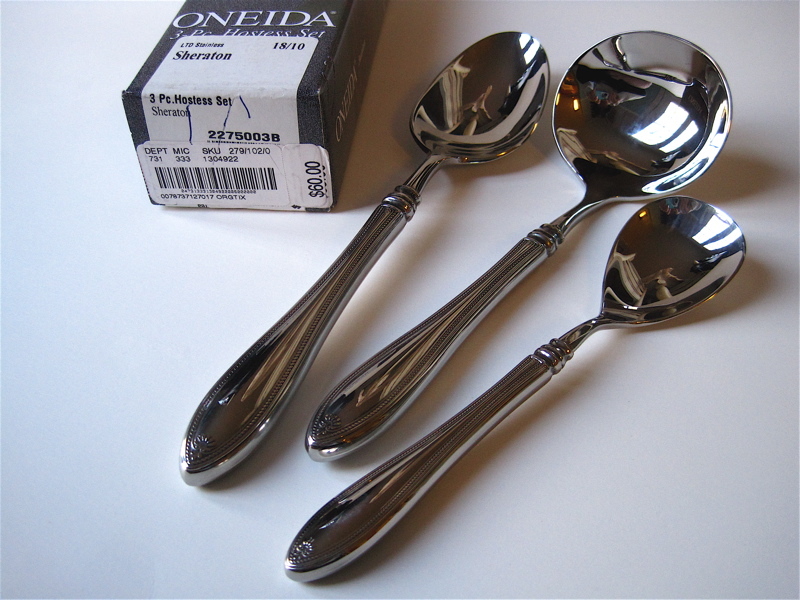 I'll bet I'm not the only reader who has owned a pretty silver pen or Friendship Ball from Alda's lovely line of home decor products over the years. I had the pleasure of briefly meeting her at a trade show some years ago and found she is just as delightful in person as she comes across in her books. 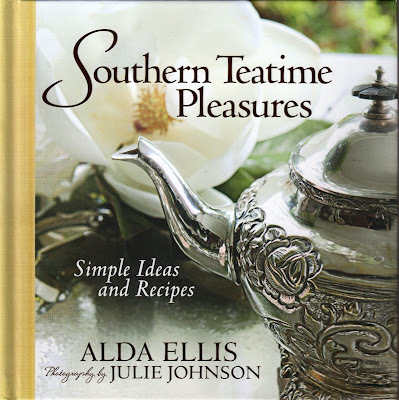 Her new release I just received from Harvest House Publishers is "Southern Teatime Pleasures: Simple Ideas and Recipes," and it gave me some great ideas for new teatime traditions to try, and new teatime treats to make. Alda and her husband live in a National Register home in Little Rock, Ark., and today they share this home, Magnolia Hill, with others as a special events facility. "Everyone who comes through our door is offered a glass of Southern Peach iced tea," she says, and you get the distinct impression family, friends and clients are equally welcome. Chapters in the book include them all, such as Alda's neighbor Madge (Friendship Tea), her father (whose 92nd birthday was celebrated at a Birthday Tea) and of course the brides who have chosen Magnolia Hill for their ceremony (Wedding Tea). 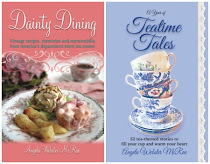 Recipes in the book range from a helpful In-A-Hurry Cheese Plate to Mango Iced Tea, Tea Party Butter Cookies, Pecan Scones with Orange Glaze, Christmas Tea and Bridesmaid Citrus Curd. With lots of food and decor photos by Julie Johnson, the book is sure to provide inspiration to even the most veteran tea lover. 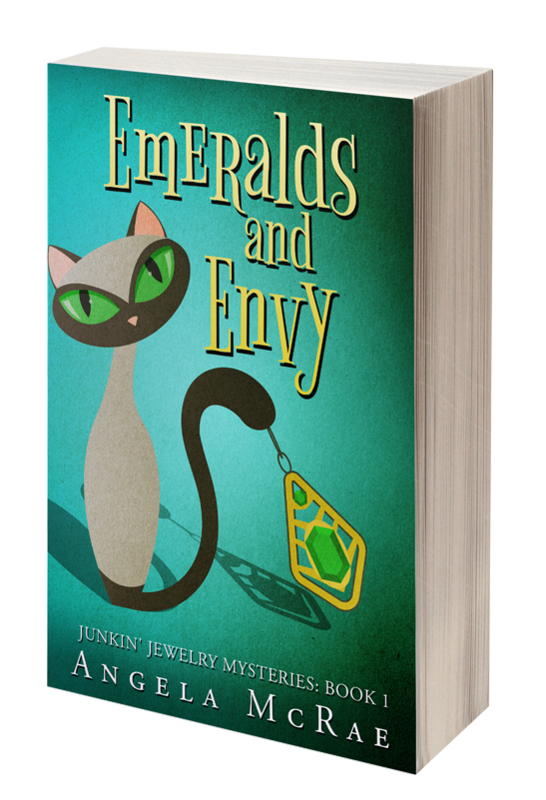 It was a joy to read, and I'm happy to have another Alda Ellis book in my library! Earlier this year I mentioned finding some longed-for Berkeley Square White Tea Hand Cream at T.J. Maxx. Well, I have since found some matching lotion, which I am giving away this week! You have to love the packaging on these products! This tells a bit more about the design, which first appeared in the Illustrated London News. So if you'd like to win this lotion, just leave a comment to this post between now and noon EST Friday, Feb. 24, and you'll be entered to win. Good luck! A Tea Room glass imposter? 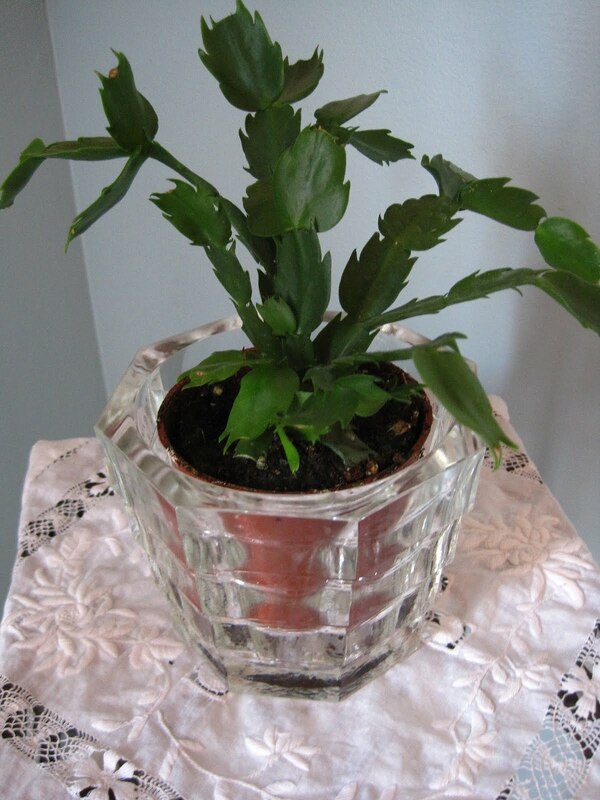 A few months back, my mother and I were in an antique mall in north Georgia when we both walked in and spotted this clear glass vase or pot that is now home to a Christmas cactus. It was about three feet inside the door, and I quickly picked it up. "Is that what I think it is?" asked my mom. "I don't know," I said. "But it sure looks like it, doesn't it?" 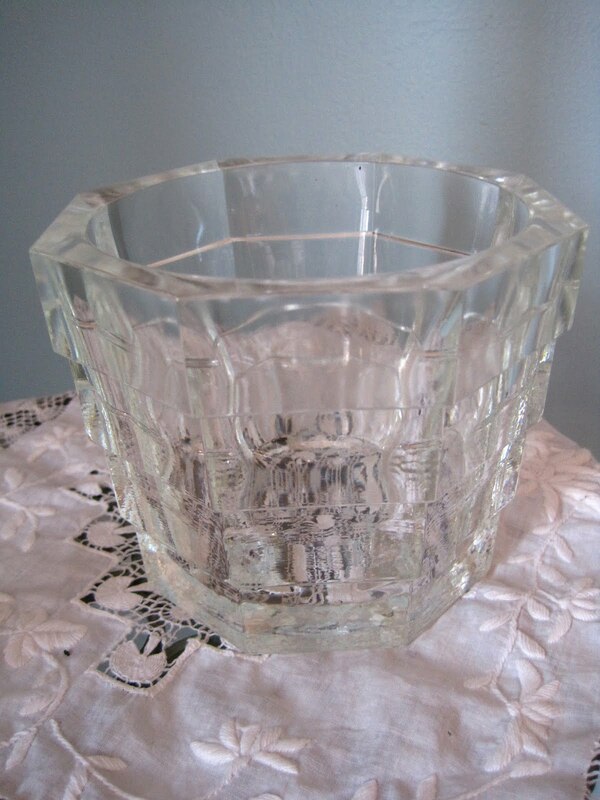 What we were both referring to was the fact this design sure seems to mirror the lines of my beloved Tea Room Depression Glass. 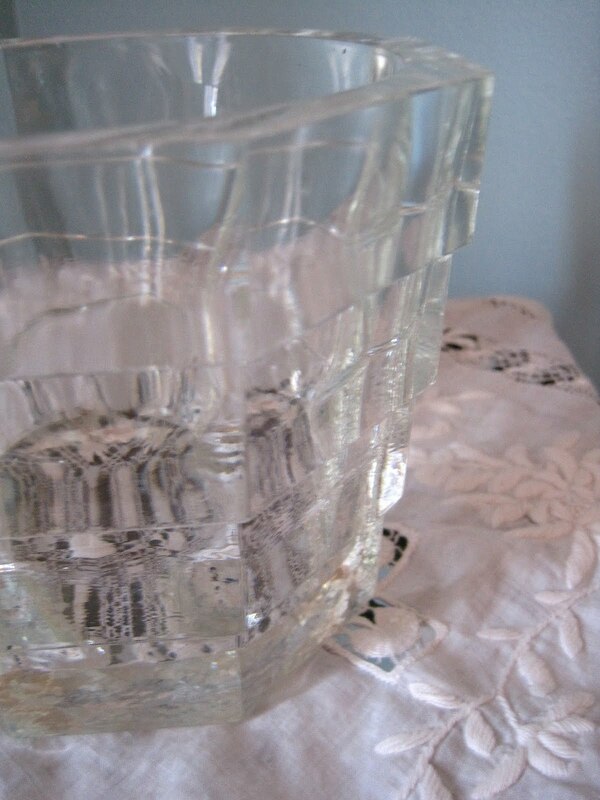 You can see a clear glass tumbler here and a pink glass teacup here. The stairstep sides are *quite* similar! But ... my Depression Glass books don't show that a Tea Room glass piece was made in this particular shape, and besides, the glass looks a little wonky and wavy on the bottom, something I don't see in my other pieces. So, it's a bit of a mystery. Was someone trying to reproduce the Tea Room pattern on this piece, or was the design a coincidence? At any rate, for $5.99 I decided it needed to come home with me, and as my mom pointed out, it will be nice to blend in with my other pieces! 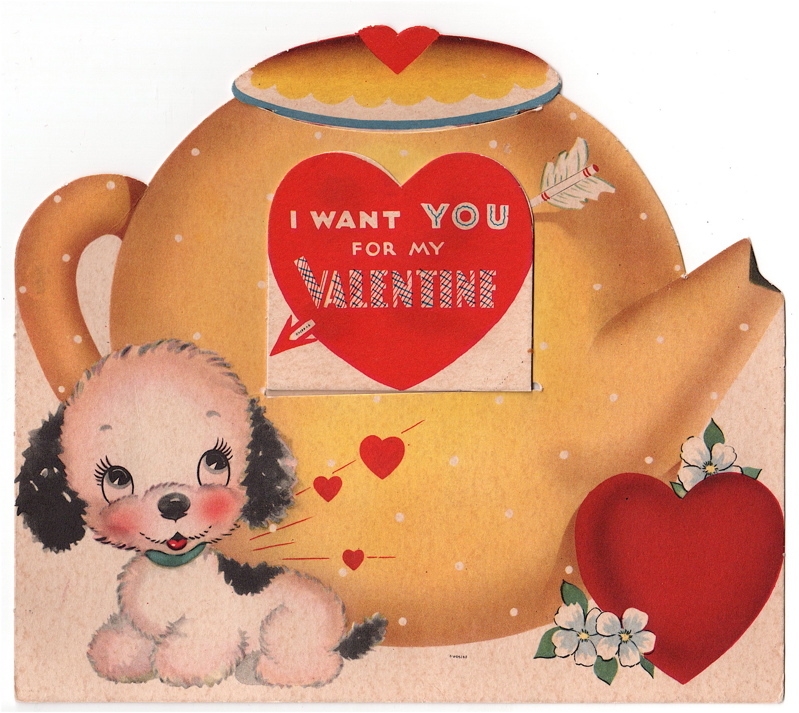 By our calculations, this was our ninth year in a row to celebrate tea together for Valentine's. 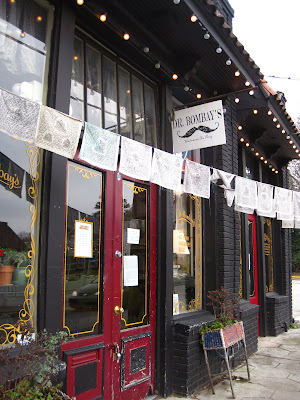 And this year when my husband had asked where I wanted to go, I quickly said "Dr. Bombay's Underwater Tea Party in Atlanta," and we decided to go on Valentine's Day itself. When we got there early we had a little time to kill, and I took a few photos of signage. I asked Alex if he thought most readers of this blog would know who Dr. Bombay was. I was stunned to learn that *he* didn't know, so I decided I'd better share that info here: Back when the comedy "Bewitched" starring Elizabeth Montgomery was on TV in the sixties, Dr. Bombay was an eccentric, fictional warlock who occasionally was called upon to help the family. He was usually summoned with a cry of "Calling Dr. Bombay, Calling Dr. Bombay, come right away!" So, to name a tea place after Dr. Bombay struck me as quite unusual and something I wanted to explore, more out of curiosity than anything else. The fact they refer to their "Afternoon Tea" as "High Tea" told me this was not going to be a traditional tea room, and the food had gotten mixed reviews online. 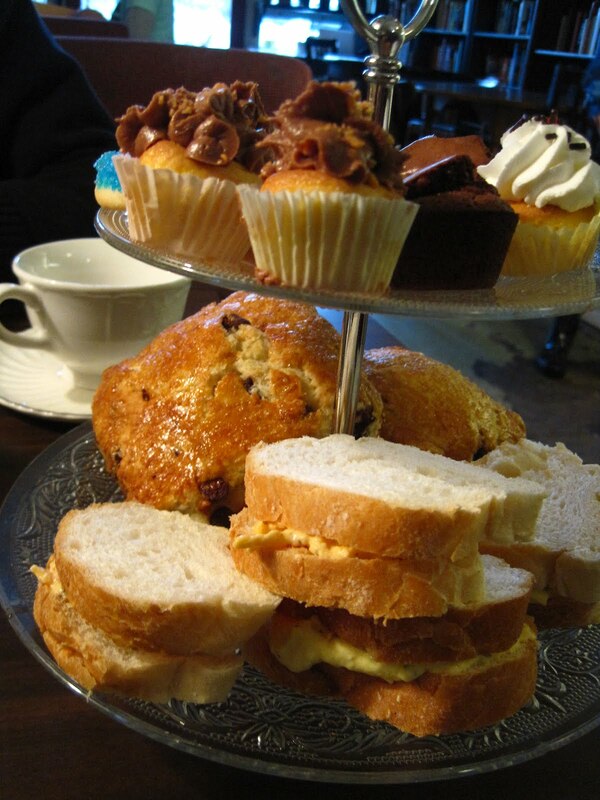 The shop was located in character-rich Candler Park, and since both Alex and I like to people watch, I knew whatever sort of teatime they offered, we would enjoy. And we did—sort of! We were greeted by a friendly, jeans-and-ballcap-clad fellow with a British accent who welcomed us, pointed us to our booth, and took our order for tea. 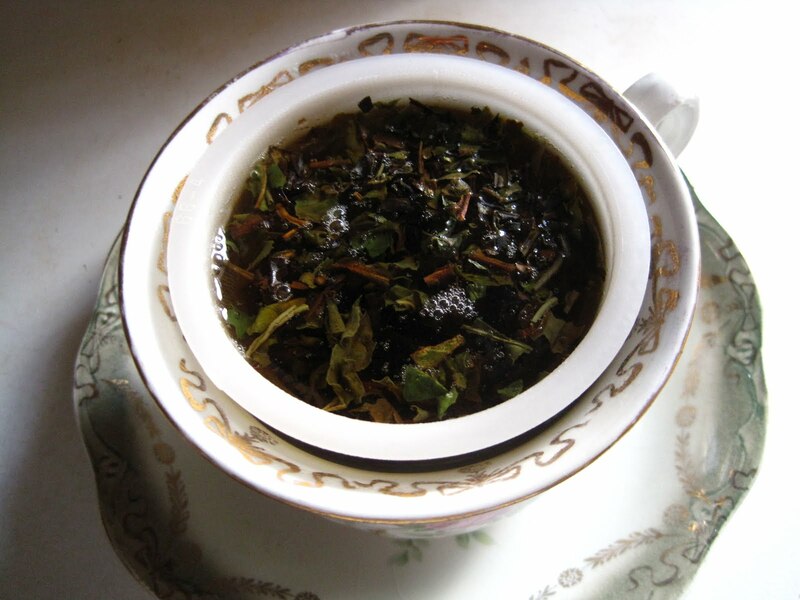 We decided on a pot of Darjeeling, and shortly it arrived. 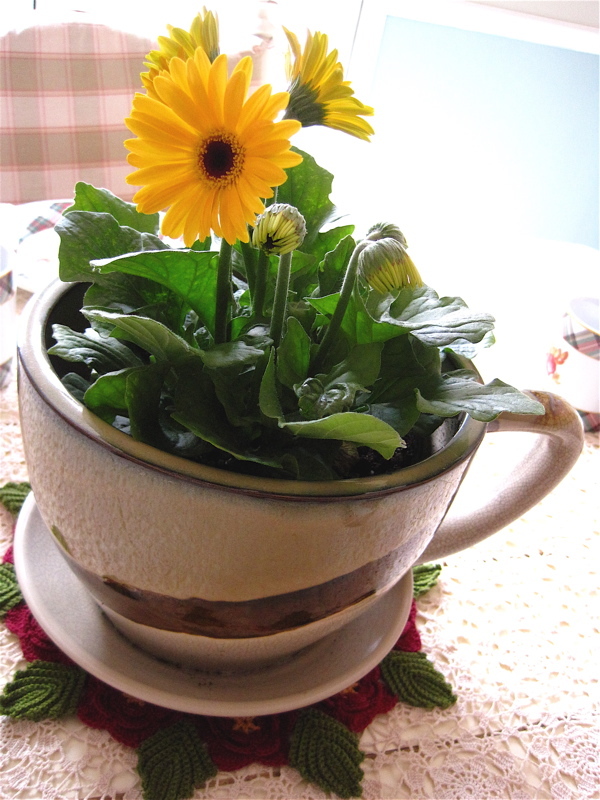 My teacup was Bohemian—sort of like the place itself, I thought! The tea tasted fine, but the leaves were in a large teabag, left in the pot, so I ended up using my teacup's saucer when I removed the bag after the tea had brewed to proper strength. Then came the "High Tea" tea tray, which I knew from the menu online wouldn't be quite the variety to which we were accustomed, but that was fine because I knew what we were getting. 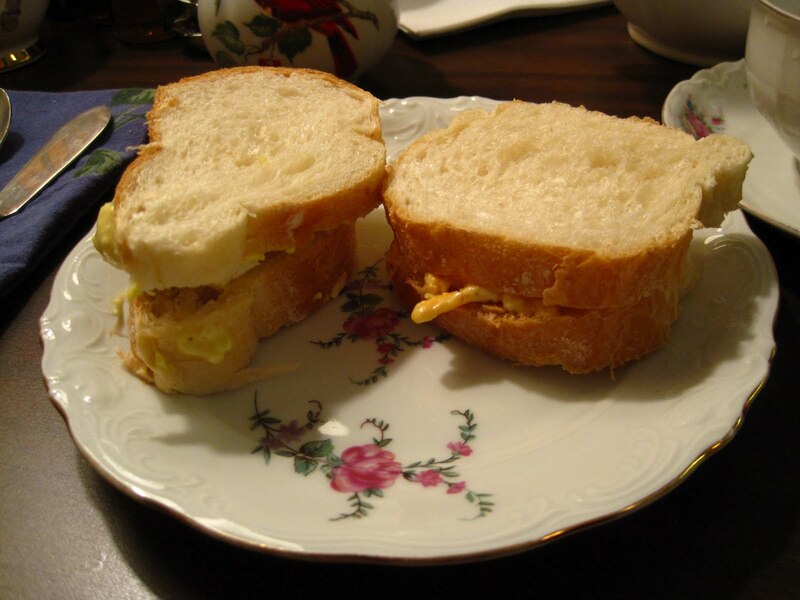 The two sandwiches we each got weren't in tea-sandwich shapes like I'm used to seeing, but the bread was fresh and the pimiento cheese and egg salad were actually pretty tasty. That was good because we had both skipped lunch and were starving! Next, we tried the gigantic chocolate-chip scones. My husband went first. "Umm ... hmm ... kind of dense," he said. I found mine too crumbly and after a few bites, moved on to the sweets. 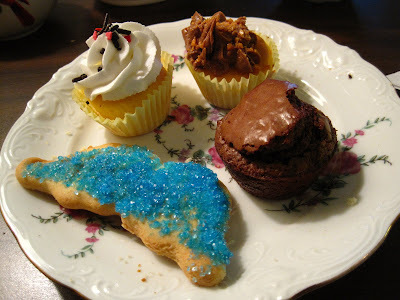 I must confess I was disappointed that what tasted like cake-mix cupcakes and a brownie bite were so hard and tasted old. Their sweets I saw online looked delicious and fresh! Perhaps they were having an off-day? 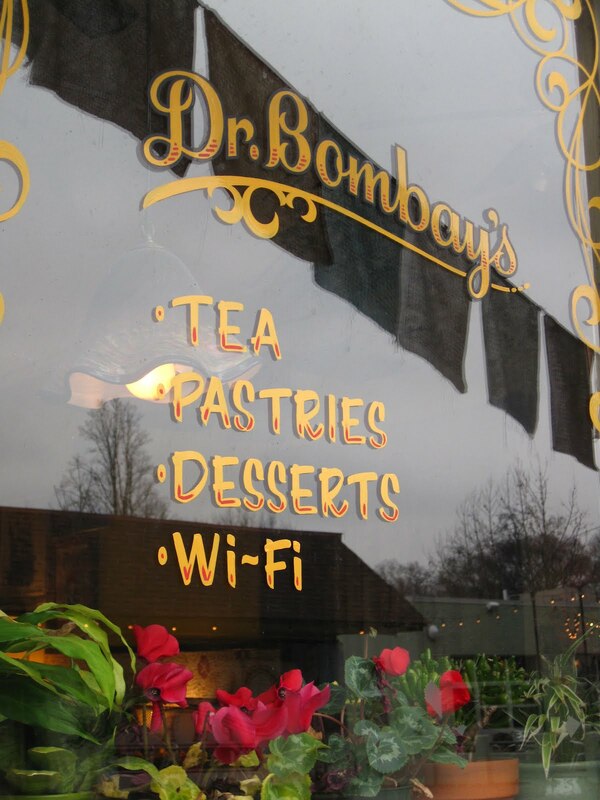 Like the college students we saw hunched over their laptops, Alex said he would go back to Dr. Bombay's for a cup of coffee if he is ever in the neighborhood again. 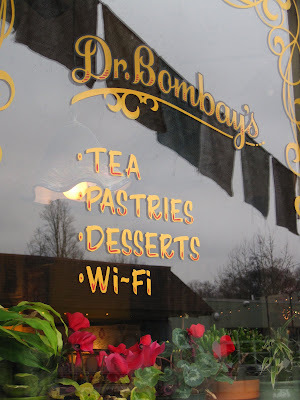 For now I've checked this one off my "Bucket List" of tea rooms to visit, but I would be willing to go back one day if I hear the tea service and food have improved. I like eclectic. I like edgy. I especially liked seeing the neighborhood characters that wandered through, one of the main reasons I wanted to visit! I saw lots of potential here, and the world certainly needs more good tea places, including some that aren't frou-frou in nature so they will attract a younger generation of tea lovers. So while the eclectic tea place with the funny name didn't quite meet my expectations, I still very much enjoyed experiencing it with my sweetheart. Still a bit hungry, we wandered down the street to share a delicious turkey burger from the Flying Biscuit Café and headed home happy as clams, another memorable Valentine's Tea behind us. Noah's Mom! Congrats, and I hope everyone enjoyed playing along this week! With your indulgence, I wanted to share one more photo of a vintage Valentine this week, only this one was three-dimensional so I couldn't simply put it on the scanner. And it's too small to read in the top photo, so here's a closeup of the sweet message. 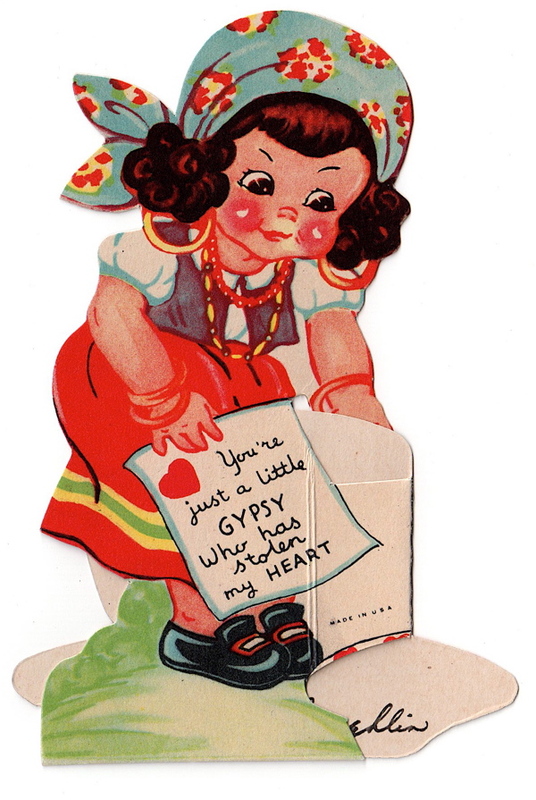 Someone asked the other day where I find my vintage Valentines. Well, I think I've found them all online, primarily eBay and Etsy. And my best advice is: Look for them long before Valentine's Day! I've paid between $1 and $3 for the vast majority of mine, so when I saw the same ones I have selling for $7-$17 last week, I wanted to cry out, "Nooooo! 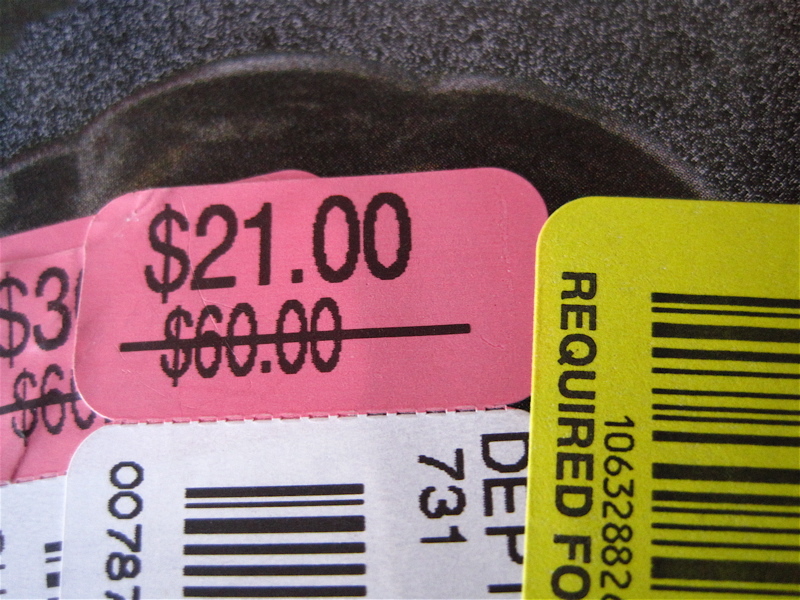 Wait for a bargain, people!" Now that Valentine's is over for the year, I'll be on the lookout for next year's Valentines to share. 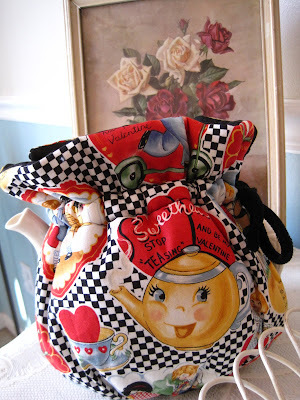 Did you notice my sweet new tea cozy? Mary Jane made this for me out of some fabric she once won in one of my Valentine's Week giveaways! What a fine surprise this was! 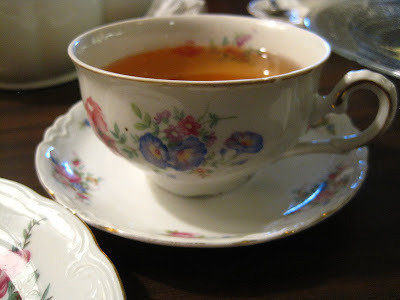 Coming tomorrow: A most interesting venue for Valentine's Tea with my husband! Michele @ The Nest at Finch Rest! Congrats, and I'll get this in the mail to you ASAP! 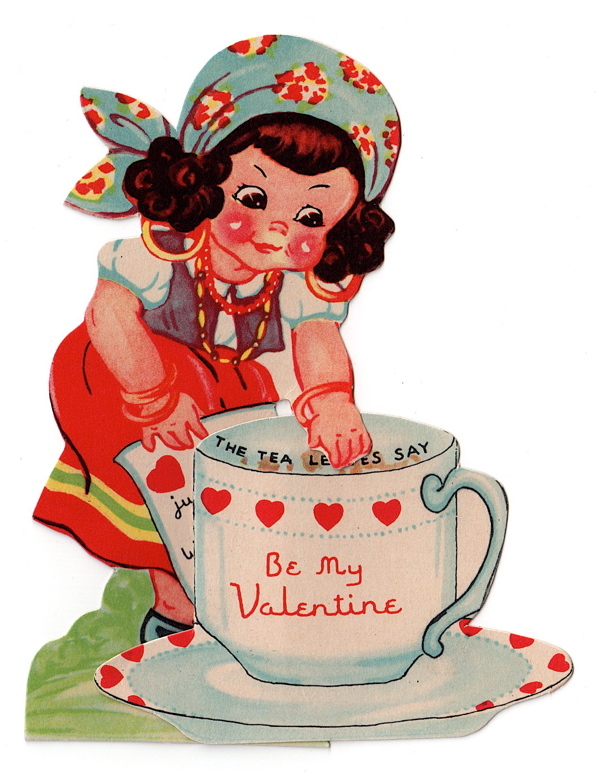 "The tea leaves say … Be My Valentine." 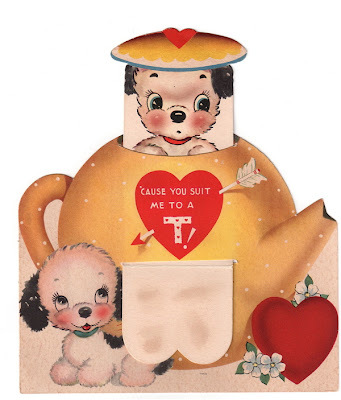 This cute little card has you flip the teacup and read the rest of the card. 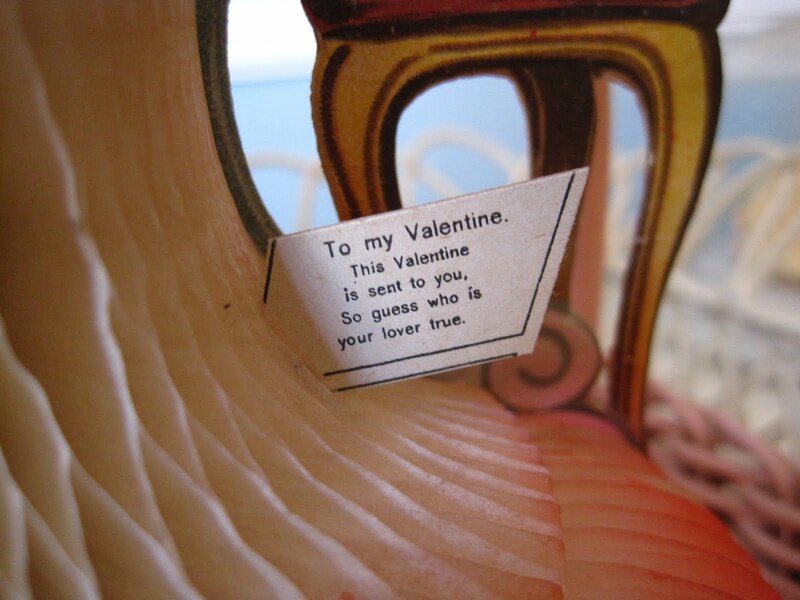 The very back says "2-14-38, From: Fern McLaughlin." I wonder if Fern McLaughlin is still around, and who the recipient of this card was. But enough about that. Let's talk some more about, as the little gypsy girl put it, "tea leaves." Would you like to win some? 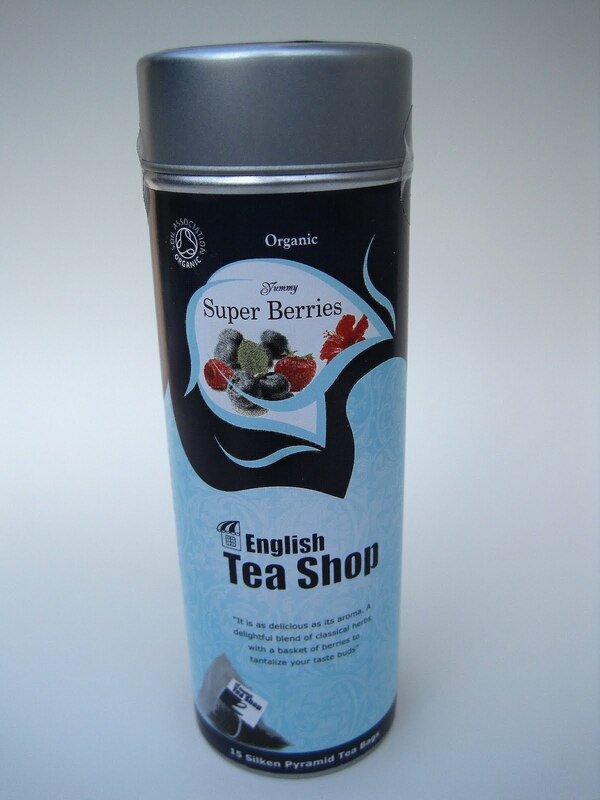 Thanks to the pyramid-shaped teabags, you can see the tea leaves in this English Tea Shop Super Berries Tea. If you'd like to be entered to win, just leave an "Enter me" to this post between now and 7 a.m. EST tomorrow. I hope you've enjoyed this year's Valentine's Week celebration, and may I be among the first to wish you a very HAPPY VALENTINE'S DAY! ... read the message that "you suit me to a T." This Valentine is unsigned, and it's unfortunate if it never actually got given away because it's such a fun piece. "Giving away" is what we do around here the whole week leading up to Valentine's Day, and today the giveaway treat is a small journal with a teapot and teacups on it. 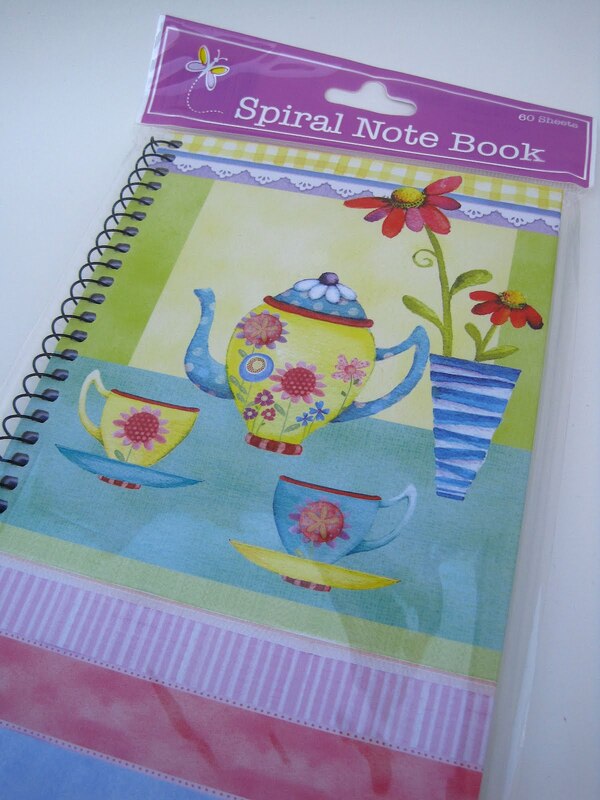 You could use it to record your tea room visits, or to write notes on new teas to try, or the names of tea books you wish to read, or ... well, you could use it for lots of things, actually. To be entered, just leave an "Enter me" to this post between now and 7 a.m. EST tomorrow. Good luck!